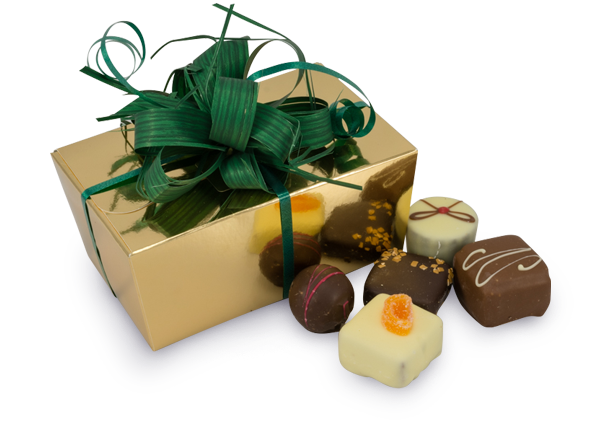 …is crammed with luxury chocolate truffles from our bespoke collection including a selection of nougat, pralines, classic truffles and just a few creams. Every gold chocolate gift box comes with a beautiful ribbon giving it that finishing touch. Whenever you need to buy someone that special small gift our 250g gold gift box is ideal. This box contains approx 16 chocolate truffles. Going to a dinner party? Instead of wine or flowers why not take one of our gold ballotins packed with the hosts favourite truffles.